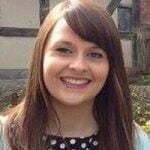 Jodie has worked in Applied Behaviour Analysis for over five years and obtained her Masters degree in 2015 in Behaviour Analysis, and is waiting to sit the BABC exam. Her extensive experience has included roles in specialist and mainstream schools and home settings. Jodie is confident and professional with the insight and creativity to design effective behaviour management and learning strategies for children with ASD. She is skilled in training and supporting school staff in implementing these strategies to ensure individual needs are met and the whole class can benefit from the experience. Jodie is currently working towards BCBA status and manages a caseload of children with a range of abilities and behavioural needs. By consistently monitoring each individual child she is able to advise staff and parents in techniques that will decrease challenging or disruptive behaviours. She also sets appropriate, achievable learning targets and uses data to clearly demonstrate positive progress. “Jodie worked as home/school senior ABA tutor with my twin boys for over 2 years. Having Jodie as a part of our team was pleasure. She is very professional, trustworthy and knowledgable/skilled. She has did great job with both of my boys who are on different parts of ASD spectrum and became a key part of their development/progress. Apart from being highly skilled and hard working she is also very kind and it was an absolute joy having her as therapist. Both my children and us (parents) loved having her around. She has always put extra effort to overcome any obstacles and find solutions to any issues my children encountered. She also has great communication skills and was able to help us bridge the gap between home programme and boys school. She has also acted as school shadow and provided training to the mainstream school stuff. Our family has moved to another country 2 years ago but we fondly remember Jodie and miss having her as part of our family life”. Ana, Mother of Autistic Twin boys. “Working alongside Jodie was a rewarding and beneficial experience,she provided specialist support and applied many different strategies that helped provide a stable, nurturing environment for children”. Amanda Mccarthy (Learning support assistant at a mainstream school).